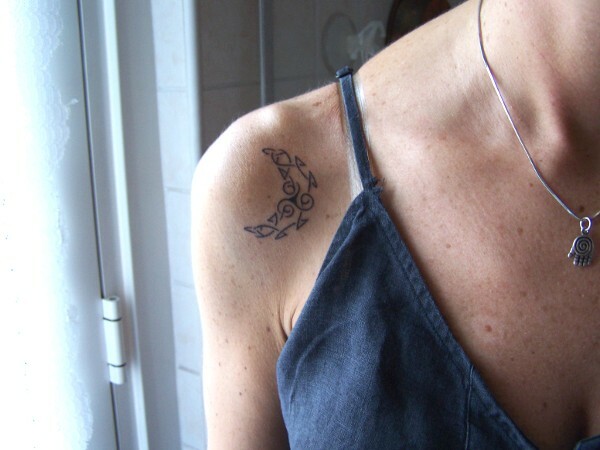 The moon is a symbol of femininity, symbolizing feelings and emotions. 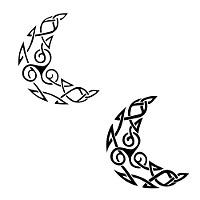 The Celtic triple goddess, representing the union of the maid, the mother and the crone, is pictured by three moons: a crescent moon, a full moon and a waning moon. Another Celtic triple symbol is the triskell, which similarily represents the phases of life, and eternity through birth, death and rebirth.